Prompted by some memorable moments from films and TV series, I found myself thinking about our childhood cinematic experiences and how easily amused we were. It began with some classic lines from one of my favourite films, Ferris Beuller’s Day Off – a 1986 film which I initially thought was going to be one of those god-awful Russian communist propaganda films – how wrong I was!!! “Anyone? Bueller. Anyone? Bueller.” – never ceases to bring a smile to my face. But the real star was the robot, whose arms (made out of concertinaed pipes would wave about and his glass domed head spin as he would warn Will Robinson of danger. And of course: “Aliens approaching”. 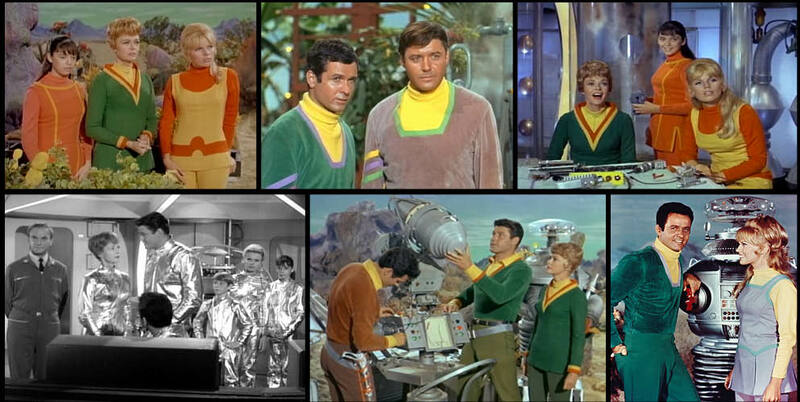 Lost in Space consisted of adventures/escapades in alien worlds created with some very basic set design. It was all too obvious, but we didn’t care, we were still captivated, glued to the screen waiting to see what would happen. How easily pleased we were. Essentially the premise was that while Major Don West and Professor John Robinson were busy trying to fix the space ship and Judy and her mother involved in household tasks (!) 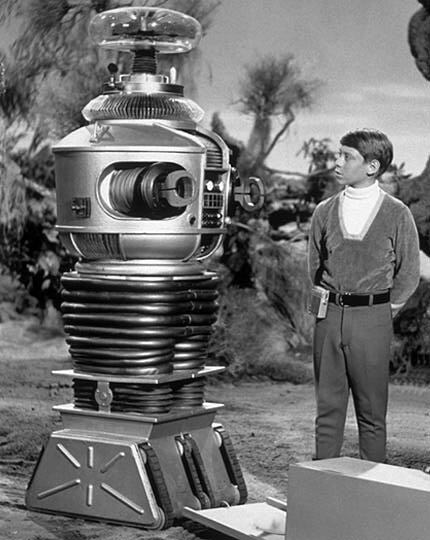 Will and the robot would go on adventures. Sometimes Penny would join them but more often she was left playing with her little pet. Often the adventures involved Dr Smith attempting to orchestrate his departure by whatever dastardly means he could and then Will and the robot having to deal with the resultant dangerous situations. We knew the plot, we knew the outcomes but still we watched. Mesmerised. Gullible. I don’t think much has changed – only the sets have become more sophisticated.